Russia, this year’s chair of the G20, has called for structural reforms across the board for global economic growth. “Currency wars contradict the principles of G20”, Anton Siluanov, Russia’s finance minister said at the G20 finance ministers’ meeting in Moscow. The ministers pledged to prevent the competitive devaluation of their currencies, after global worries over Japan depreciating the yen by around 20 per cent. “We will refrain from competitive devaluation. We will not target our exchange rates for competitive purposes, will resist all forms of protectionism and keep our markets open,” said the communique issued after two-day talks of G20 finance ministers and central bankers. “Currencies should not be used as a tool of competitive devaluation,” George Osborne, Britain’s finance minister said. “The world should not make the mistake that it has made in the past of using currencies as tools of economic warfare” said Mr Osborne. 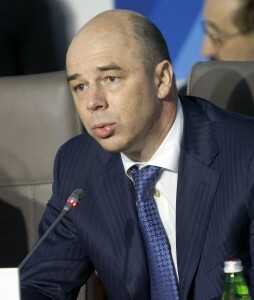 Siluanov said earlier on Saturday that countries pursuing a monetary policy that hinges on weakening the national currency in the hope of accelerating economic recovery would be wise to remember the associated risks. “These measures could have ambiguous consequences. Central Banks following a super soft monetary policy must painstakingly track the related internal and external risks,” Siluanov said. However, economic experts are now saying that fears of a “currency war” are overestimated. The Russian finance minister highlighted the need of structural reforms across the board, since rebalancing global demand cannot be achieved by correcting the exchange rate. Siluanov stressed that Russia fully backs the Framework Working Group’s approach to monitoring structural reform and launching a mechanism to track progress on commitments in this area. Global economic leaders are concerned over Japan’s monetary policy. After a leadership change in Japan, Shinzo Abe, the new prime minister has been conducting an aggressive course on monetary easing, trying to de-value the yen. That in turn makes Japanese exports cheaper and therefore more competitive in global markets. Currency manipulations significantly affect domestic policy and Russia has raised concerns about this earlier. “A determined push by large industrial economies to weaken their currencies would inevitably put pressure on the Russian central bank to weaken the ruble or to allow an uptick in inflation (both things that it, sensible, would like to avoid). “It is thus perfectly understandable that the Russian government would do its utmost to get the “currency war” option labeled as unsatisfactory, as its economic interests would be much better served by a continuation of “internal devaluation” in developed countries,” says Adomanis. The ministers have discussed other issues, including slashing debt. Since the 2010 debt-cutting package agreed in Toronto expires this year, the G20 nations need to come up with a decision on a new deal. Siluanov called on the G20 to make progress on debt goals before the G20 summit due to take place in Saint Petersburg in September. “We expect that by April countries will have made progression reaching a balanced approach to establishing new budget indicators on both deficit and the level of government debt,” Siluanov said. However, there is no unanimous decision on how to tackle the debt yet – while the US has used monetary stimulus to jump start its weak economy, Germany is calling for austerity measures to reduce budget deficits. Russia assumed the rotating G20 presidency for the first time on December 1, 2012. The Group of Twenty (G20) brings together developed and emerging economies that together account for approximately 90 per cent of the global economy.